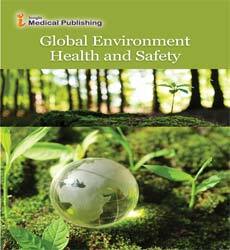 “Global Environment, Health and Safety” is an open access, peer reviewed, scholarly journal that focuses on the promulgation of research studies pertaining to the development of improved health and safety guidelines and environmental policies for the control of adverse environmental impacts on global environment. The journal strives to inculcate research practices in environmental and occupational modelling, risk science, energy yielding technologies, ergonomics, safety and accident prevention for the betterment of mankind. The journal is an excellent platform for publicizing technological and research innovations in the field of environmental biotechnology and nanotechnology, environmental and occupational toxicology, biostatistics and epidemiology. The scope of the journal includes studies related to public health issues, community health management, and promotion of practices for improving health standards and food safety guidelines. The journal also emphasizes on the publication of recent developments in the field of environmental sciences and environmental engineering, with special emphasis on prevention of water pollution, waste water treatment and reuse, monitoring and controlling air pollution, reasons, consequences and preventive measures for control of noise and radiation pollution, solid waste and industrial waste management. Articles showcasing results of case analysis and propositions effective in controlling Environmental and Occupational Chemical exposure, toxic waste exposure and heat stress are welcome. Global health refers to the health of people around the world, and includes all types of health issues. Global health can be measured by the effects of various diseases, treatments and prevention efforts, including those from the World Health Organization (WHO), UNICEF, United Nations World Food Programme, and UN Sustainable Development Goals. Global health issues includes approaches for treatment, diagnosis and prevention of diseases, epidemiology to identify diseases, their risk factors and causes, and economic challenges including cost-effectiveness and cost-benefit approaches, all for the advancement of public health. There are other type of social sciences like Sociology, Developmental Studies, Psychology, Anthropology and different Environmental laws which helps know about the Global Health Issues. Public health is the science of protecting and improving the health of populations within diverse, global communities with the goals of disease prevention, healthy lifestyles, and identification and control of infectious diseases. Public health also takes responsibility for improvement of the health and safety of communities through education, research and policy making. Related Journals to Public Health American Journal of Public Health, Annals of Tropical Medicine and Public Health, Annual Review of Public Health, Archives of Public Health, Asia-Pacific Journal of Public Health. Environmental health and protection refers to identifying, assessing and protecting humans and biological systems from factors which may affect human health adversely. Long-term human health is dependent on environmental quality and ecological balance. Environment health addresses diverse factors affecting human health, including the built and natural environment. This encompasses the air, soil and water present in nature and all the physical, chemical and biological features and practices in human surroundings. Environmental health encompasses the assessment, prevention and control of those factors which directly or indirectly affect health.